Triangle Pond Management, LLC proudly provides a full range of pond and lake maintenance and management services in Raleigh, NC and the surrounding areas. 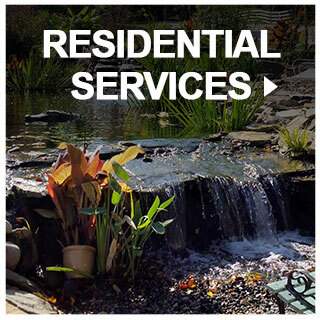 We have years of experience assisting homeowners and commercial property owners with everything from pond maintenance to BMP/SCM annual certification and repair — put our team to work for you! Our experts can handle all of your aquatic residential and commercial needs, including Raleigh, NC water garden construction, lake and pond maintenance, vegetation control of algae and weeds, installation of floating fountains and aerators, fish stocking, pier and dock construction and more. HOAs, home builders, developers and municipal property managers also look to Triangle Pond Management for Raleigh, NC Stormwater Control Measures SCM and BMP assistance. Our staff is fully equipped with the knowledge and tools to ensure your retention pond or other BMP complies with all federal, state and local regulations and guidelines — let us take care of the slope mowing, water testing, aquatic weeds, algae and more. 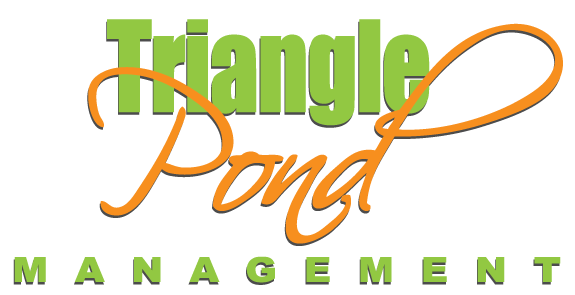 Reach out to Triangle Pond Management in Raleigh, Cary, Greensboro, Durham, Chapel Hill, Apex, Wake Forest, Youngsville, Louisburg, Creedmoor, Wilmington, Charlotte and beyond. To request a consultation, fill out the form below, or call (919) 398-3221. Fall is Here, Winter is Coming!